Stop by GWS and check out our new Exhibition Space! 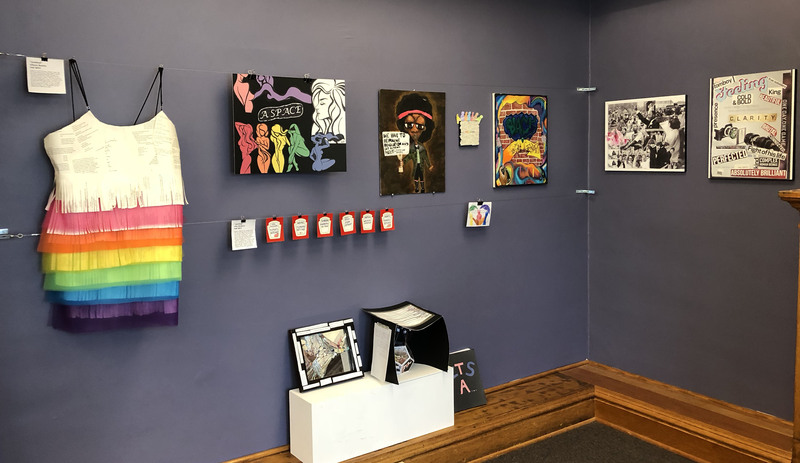 The Department of Gender and Women's Studies now has a new exhibition space for student and alumni art! The current display features student projects from Professor Brown's Fall 2017 course, Race, Gender and Power. Feel free to stop by during regular office hours to check out the space and the students' art. Many thanks go to Walter Wilson and Siobhan McKissic, who helped conceptualize and install the space. Walter is a Design and Installation Specialist from Krannert Art Museum and Siobhan is graduating from the ISchool this spring. She'll be working full-time at the Rare Book and Manuscript Library here on campus. We couldn't have done it without their expertise!